Just few days ago, Bill Gates, Microsoft, was reported in a news flash that he said health issues should be encouraged more in the community than internet connectivity. But Mark Zuckerberg, Facebook, favors internet connectivity. The news about Gates and Zuckerberg preference came on the path of a debate of the rich and poor in a recent news by Kenya's government provision for some of the poor, where 18 million people are starving without help from government. News stories say before Gates' recent comment, he had encouraged internet connectivity when he was head of Microsoft, but discovered the damaging level of poverty after he left Microsoft, and abandoned internet connectivity for essential needs of the poor. Some people are saying it is possible for Zuckerberg too to change from preference for internet connectivity after a life of fully managing a company that deals with internet connectivity. The debate on poverty in Kenya was centered on the rich, the poor, hard work and some peoples' view of the rich, the poor, and whether the abject poor should be treated with disdain for alleged failure to work hard for a breakthrough. Research on human race and individuals' racing to earn enough to put poverty away show that wealth is desirable and poverty is condescending. When some rich people are asked in interviews whether they are rich, they say they are not rich but comfortable. Some have analyzed the response to interviews by the rich as being comfortable as a way to dodge the reality of being rich. In effect, observers have said that to be comfortable is everyone's pursuit and that it is sheer luck for those who are marvelously rich. And yet some people are marvelously rich. In the United States,mother ratio of the marvelously rich to the struggling poor is put at 1:99 percent. It means only a fragment of the population is in the group of the marvelously rich. And that others are among the middle class and the struggling population. People in the middle class want to climb the ladder and be marvelously rich. Many in the group of the struggling poor want to get into the middle class. The marvelously rich don't have no place to go, but do everything to protect their wealth to forestall falling into the middle class or the abject poor. People in the middle class are highly educated and intelligent. Politicians like President Barack Obama wants the middle class to live comfortable life, even if they are not able to make it to the upper class of the marvelously rich and the abject poor to possess education to be able to rise to the middle class. Development has shown that the race to be rich begins in the families before getting into the larger community. In this case, it is noted that whoever becomes rich in a family is what others in the family look up to for succor. The same way the Republican Party has said the marvelously rich should not be taxed out of existence, because they are the one the society relies upon for succor, especially provision of employment. The Democrats don't believe that the rich should be the ones the society must look upon, but that the society be managed to allow the middle class and the poor have access to education and comfort like the marvelously rich. This is the cause of friction in the struggle between the rich and the poor and politicians' intervention. The struggle between the rich and poor is noticeably intense in the family level, where individuals have discovered that wealth allies with control - just as in the larger society - and the wealthy in the family who provides succor seems to be in control and the abjectly poor live at the mercy of rich siblings. The abject poor now wants own share of the attention. Some people say it is the reason many parents have devised ways for smaller number of children they can give equal training and attention and the family planning system has encouraged the phenomenon. It means gone are the days parents have large number of children with a plan to give education to the first born, who will be expected to pull up his or her remaining siblings or allow them to become abject poor or die in struggle. People say everyone is now in a race to be comfortable or rich, and not be dependent on any rich or comfortable individual for own comfort. Some call it a rat race and others say it is a race to be rich. Sociologically, others see it as a race that has trapped the society itself leading to corruption and other endemic practices that have made work for law enforcement difficult and the society looking for other ways to fight corruption, a cankerworm that knows no boundary. It is believed that every society has its own share of poverty. The only difference is that some societies have been able to reduce effect of poverty on the abject poor than others. 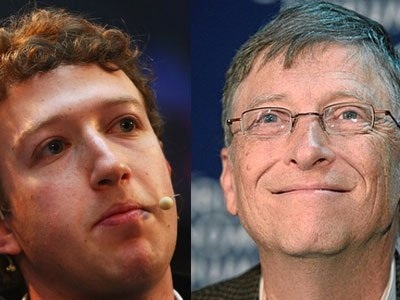 Gates is definitely seeking better management of wealth meant to help the poor based on his knowledge of traversing the world of poverty, a region Zuckerberg has not fully navigated. This doesn't mean internet connectivity is not desirable if the end result will improve health through satisfaction of reaching out to converse with others. This is believing few people want to be hermit and a larger number of people want to avoid the type of loneliness capable of triggering depression.